What do you do if your marriage is over and all you have left is a handful of cookbooks and a garden apartment in New York City willed to you by an aunt? If you’re Portia, the main character in this story, you take those books and head to the Big Apple with dreams of starting anew. I enjoyed the character of Portia because she was strong, even when things weren’t going the way she’d planned. Gabriel, her neighbor was a complex character. I think the author wanted him to come across as brooding and someone who stands in the way of Portia getting what she wants, but for me, the word hero sprang to mind as soon as Portia meets him. I liked him a lot, and I won’t give away some of the plot, but my instincts were right about him. And then there’s Ariel, Gabriel’s twelve year old daughter who is the other point of view character in this story. While I know that she’d been through a lot with losing her mother and moving to NYC and hence had to grow up fast, sometimes I found her dialogue and outlook a little advanced for her age, but overall she was a fun character who sometimes was the driving force of the story. There’s also some humor, especially when Portia takes a job as a hamburger. The pacing was perfect and the reference to food makes your mouth water. There are even some recipes to try as well. The secondary characters, including Portia’s two sisters are also well-rounded and add just the right mix. 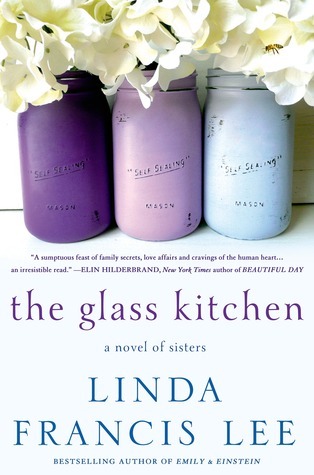 If you enjoy stories about healing and second chances, then The Glass Kitchen should probably be added to your summer reading list.